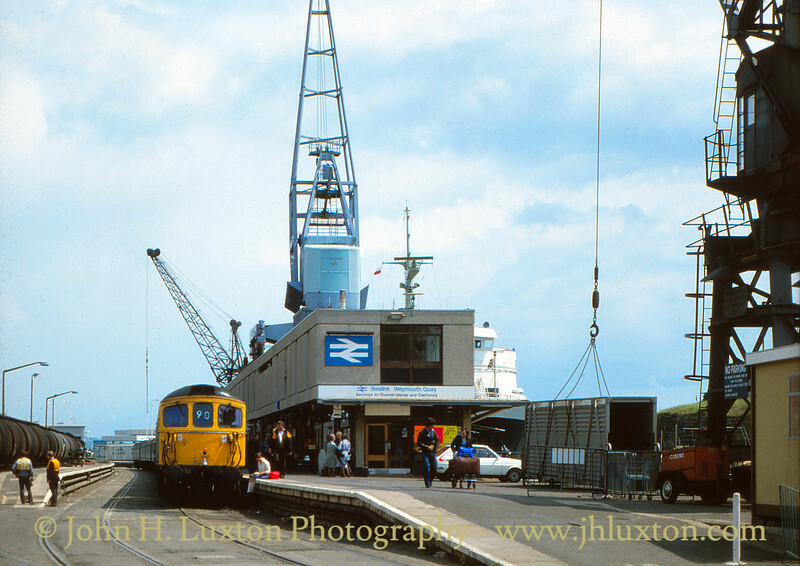 Sealink EARL GODWIN at Weymouth Quay on September 03, 1982. The sale of Sealink to Sea Containers was still a couple of years away. 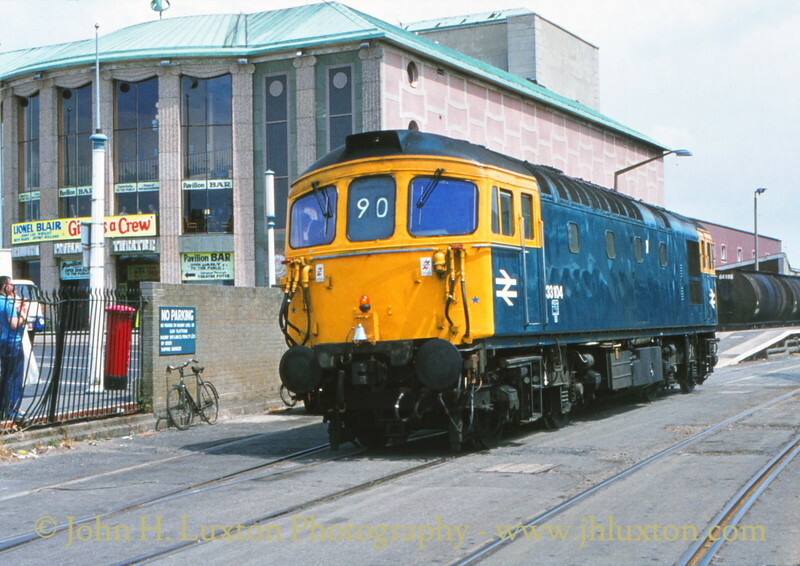 Southern Region Class 33 diesel 33104 is seen running round its train at Weymouth Quay on July 20, 1981. As well as passenger trains freight traffic also used the quay tramway and a train of oil tankers can just be seen in the back ground. Camera: Contax 139, Carl Zeiss Planar 50mm f1.7 lens. AGFA CT100 film. 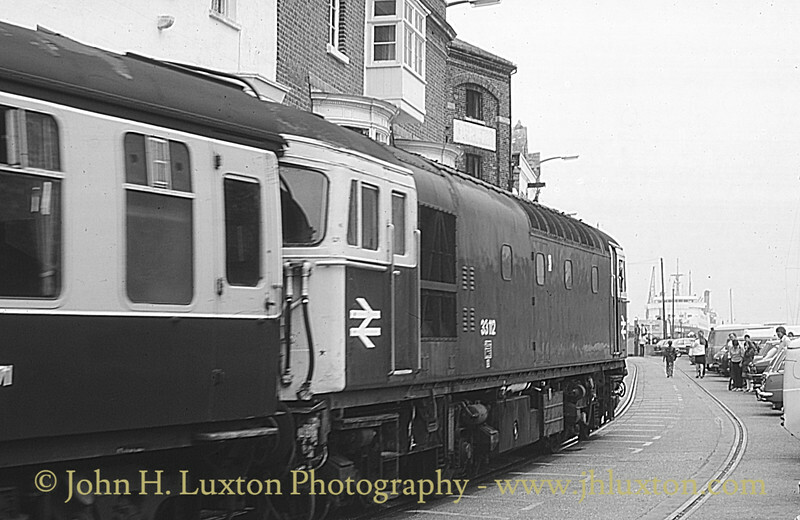 Weymouth Quay Station - July 20, 1982 33104 has repositioned for the return journey to London Waterloo. 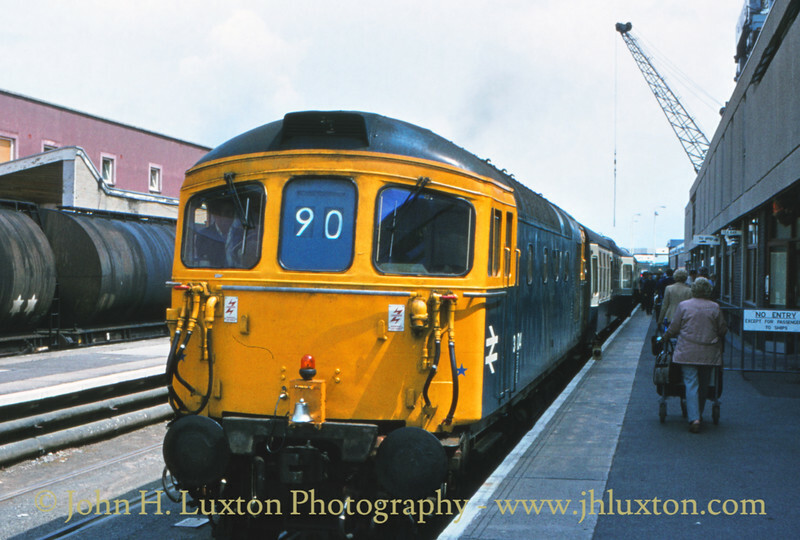 Class 33112 is seen passing the George Inn enroute to Weymouth Quay Station accompanied by the flagmen on September 07, 1981. 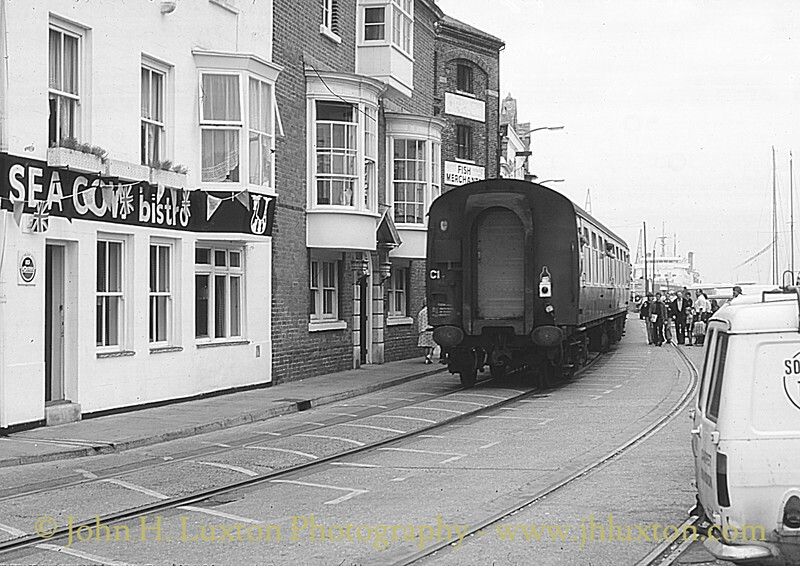 Class 33 33112 is seen passing the Sea Cow Bistro enroute to Weymouth Quay Station on September 07, 1981. 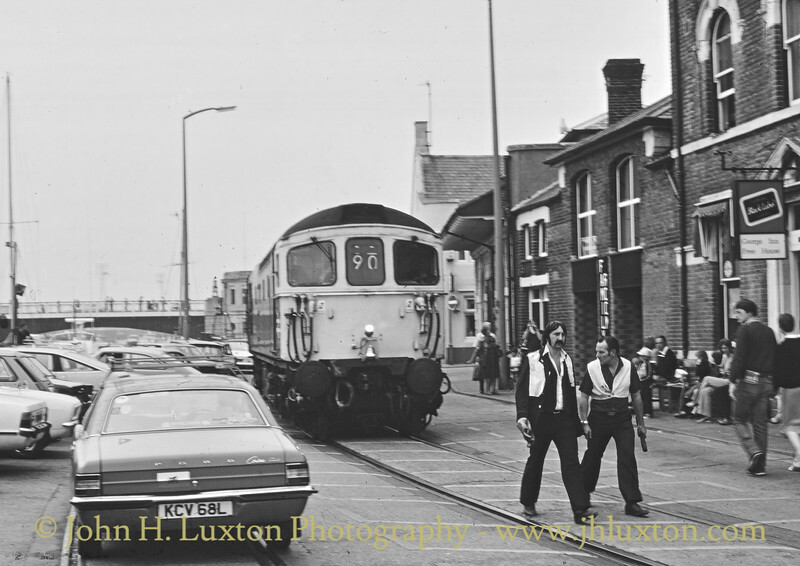 End of the train on September 07, 1981. 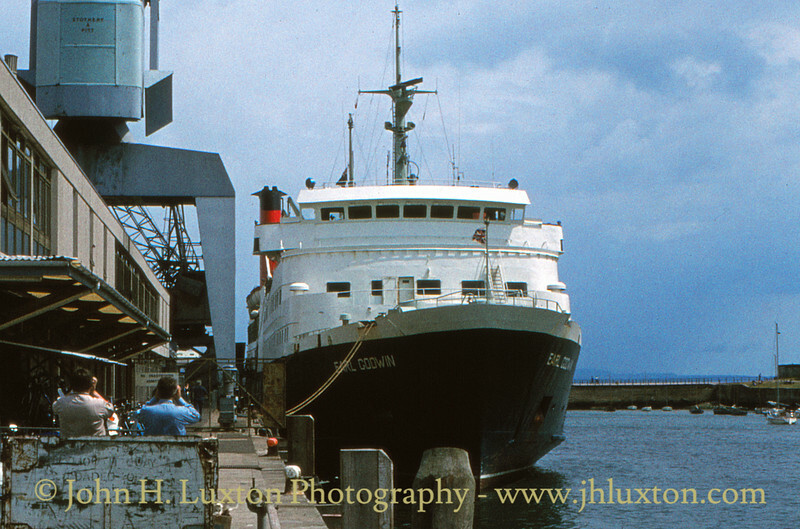 The Sealink ship EARL GODWIN can just be seen in the background. The Weymouth Quay Tramway is a most unusual line a street tramway built to link the mainstation to the Quayside Station to facilitate connection with the Channel Island railway steamers.Originally built by the Great Western Railway in 1865 it passed to British Railways Western Region on nationalisation and following regional boundary changes to British Railways Southern Region. Scheduled passenger trains ceased operation in 1987. The final passenger train over the line ran in 1999. During 2010 the local council has been seeking permission to remove the tramway. 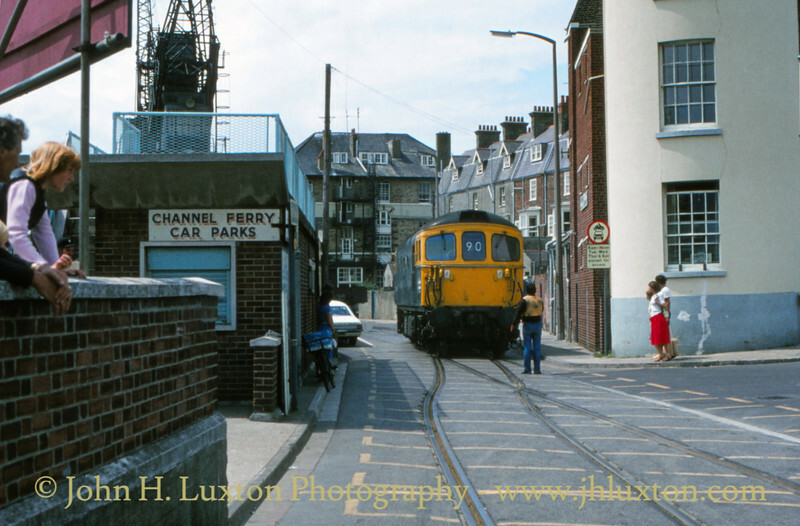 These photos show the line as it was in the early 1980s. Trains were accompanied by one or two flagmen to walked in front who sometimes had to bounce illegally parked cars off the tracks. The locomotives carried a bell and warning light.